Zlatan Ibrahimovic has fuelled rumours of his return to international football for the FIFA World Cup which is to kick off from June 14, 2018 in Russia. While speaking to Jimmy Kimmel on his show, the LA Galaxy star said, "I'm going to the World Cup, yes. If I say more, they will hang me, so I have to be careful what I say. A World Cup without me wouldn't be a World Cup." 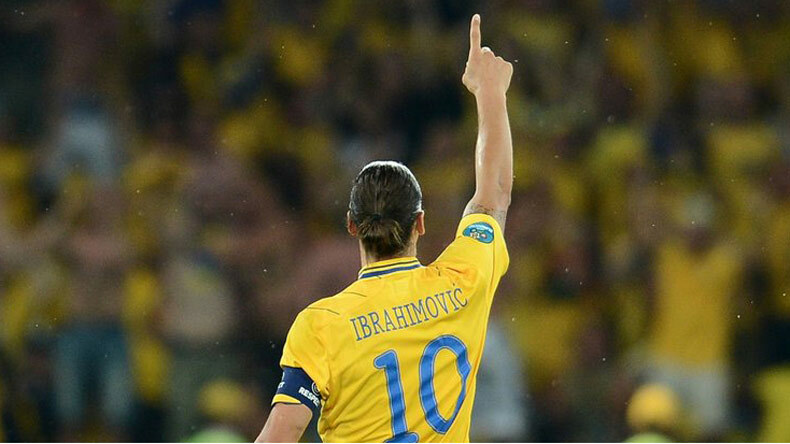 Zlatan Ibrahimovic has dropped a huge hint on his return to international football which he bid adieu to in 2016 after playing Sweden’s last match in Euro 2016. The LA Galaxy hitman in his typical light-hearted way said that “A World Cup without me wouldn’t be a World Cup.” Although he didn’t make it clear whether he will be donning the yellow jersey once again, he assured the fans that he will be gracing the FIFA World Cup in Russia. Ibrahimovic has been in sensational form ever since he made his switch to MLS club LA Galaxy from Manchester United. He announced himself among United States soccer fans with an unbelievable half-volley from 40 yards in his debut. He has scored a respectable 3 goals in 3 games. The 36-year-old towering striker looks in fine form and is touted to announce his return to the international football one last time for World Cup 2018. Sweden has been drawn with Germany, Mexico and Korea Republic in Group F of the FIFA World Cup. Sweden will play their first game against Korea Republic on June 18, 2018 and will face Germany on June 23. They will play their last Group A match against Mexico on June 27.